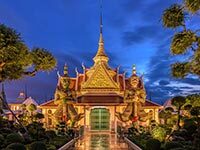 Vibrant, modern, and perpetually hectic, Bangkok is the gateway into the heart of southeast Asia. 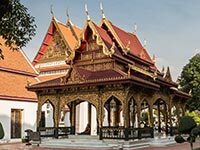 Talk to anyone who’s spent a decent amount of time in Southeast Asia and they will most definitely have a strong opinion about the Thai capital. 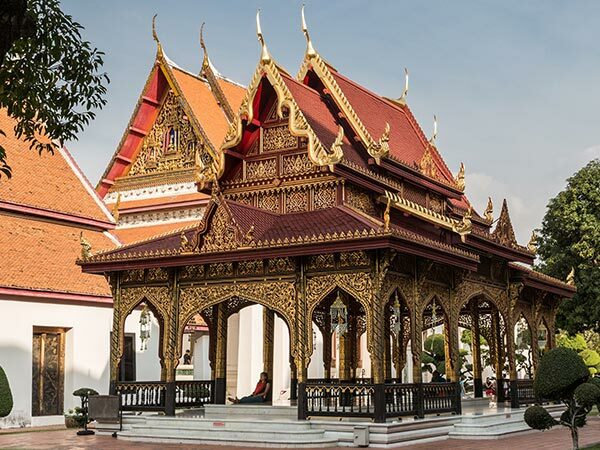 Often the first stop for many travelers in the region, there is something about Bangkok that calls travelers and keeps them coming back time and time again. With world-class cuisine at street food prices, colourful markets, and a myriad of ornate temples, it’s not hard to see why this is one of Asia’s most popular destinations. The cultural, political, and historical heart of Thailand, Bangkok provides a especially interesting landscape. Modern buildings coexist with traditional houses, dance clubs are as popular as temples, and there is a cosmopolitan spirit that somehow only accentuates the traditional feel of the city. Needless to say, Bangkok is a city that is truly not to be missed. 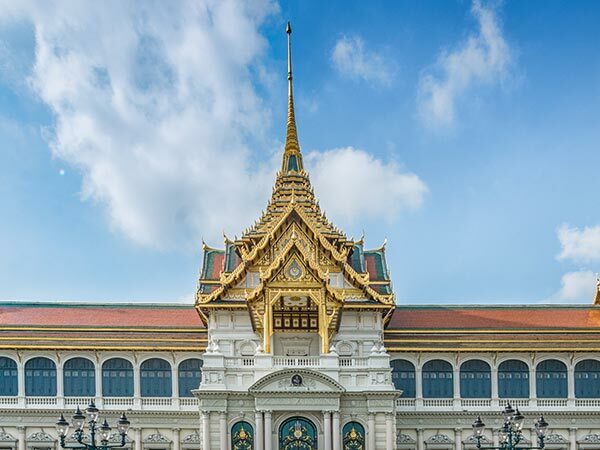 The former residence of the Royal Family, the Grand Palace is one of the most iconic symbols of the Thai nation. 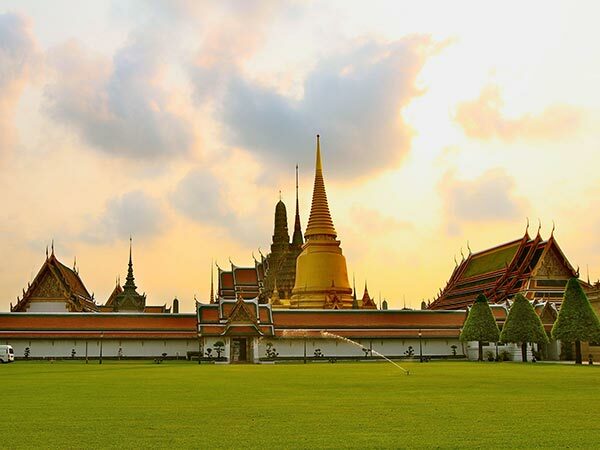 Serving as the royal residence from 1782-1925, the Grand Palace has a particularly important place in Thai history. 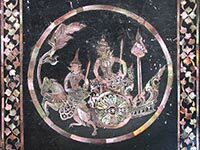 King Rama I, the first King of the Chakri Dynasty, commissioned it as part of his effort to make Bangkok the new capital of the nation. Though the royal family no longer resides here, this is not just an open museum. The palace is still a working palace, being used for several formal events as well as meetings. Visitors flock to see the golden pagodas that twirl up to the sky, the perfectly symmetrical courtyards, and the opulent beauty of the palace complex. 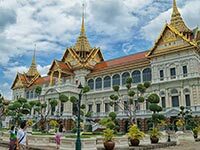 Especially popular are the gardens and the famed Temple of the Emerald Buddha, which has remained a symbol of the country even today. where? The palace is located on the banks of the Chao Phraya River. There are several stations that surround it on all sides, serviced by several different lines. However, the best way to reach the palace may be by express boat. This method of transportation allows you to get off at either the southern end or the northern end of the palace. when? Opening hours are from 8:30am to 3:30pm daily. The palace is closed on certain days when there are special events and official functions. 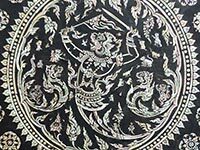 If traveling to Bangkok in the summer, please keep in mind that a dress code is enforced at the palace, so short pants and skirts, or sleeveless shirts are not allowed. £$€¥ Entrance to the palace is around $15 per person. If you arrive with clothes that do not fit the dress code, you can rent garments for around $6. One of the most popular sites in Bangkok, it is the residence of the famed Statue of the Reclining Buddha. 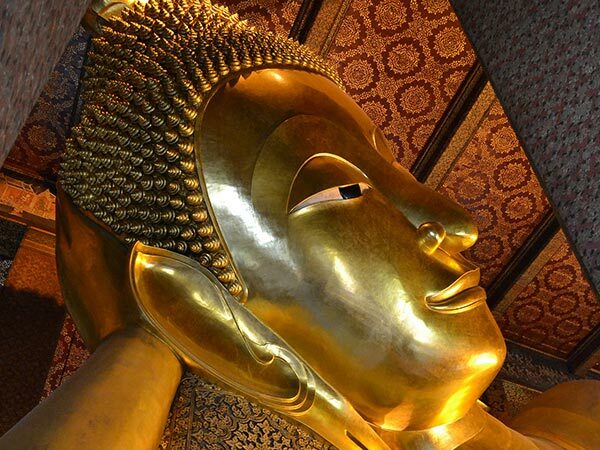 Built in the 16th century by King Rama I, the temple has had a surprisingly active history. It is recognized as the oldest public education institution in Thailand, is called the birthplace of traditional Thai massage, and is a centre for the preservation of traditional Thai medicine. In addition to this, it has the largest collection of images of the Buddha in the country. 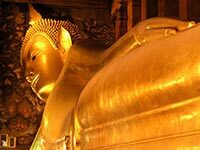 But amongst its many attractions, the true gem of the temple complex is the Statue of the Reclining Buddha—the largest reclining Buddha in Thailand. At 15m high and 46 m long, this gigantic golden Buddha seems to barely fit its dwelling place, and never fails to leave its visitors in awe. where? Wat Pho is located right next to the Grand Palace. You can access it by express boat, getting off at the southern end of the palace. You can also take public transit to either Opposite Pho Temple or Soi Thai Wang stations. when? The temple is open daily from 8:30am to 6:30pm. However, massages are available only until 5:00pm. £$€¥ Entrance to the temple is $3 for the general public. It is free for children under 120cm of height. Visitors to the temple should keep in mind that there is a dress code, and entrance might be refused on the basis of revealing clothing, or short skirts and pants. 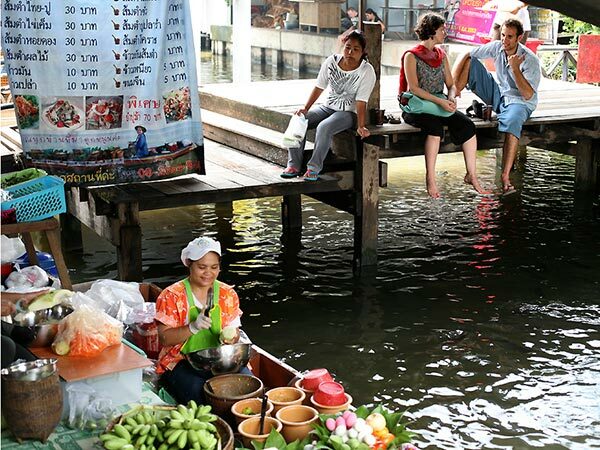 Eat and drink to your heart’s content at the city’s most authentic floating market. If the entirety of Bangkok could be reduced to a local market, it would be Khlong Lat Mayom. Though not as famous as the markets that are located within the city, this is by far the one that has retained its authenticity the most. You will not see as many foreigners as elsewhere in the capital, allowing you to escape the tourist trap feel that is so easy to fall into in backpacker’s heaven. Whilst in the market, you can browse through the myriad of colourful stalls selling goods, clothes, souvenirs, and, most famously, food. 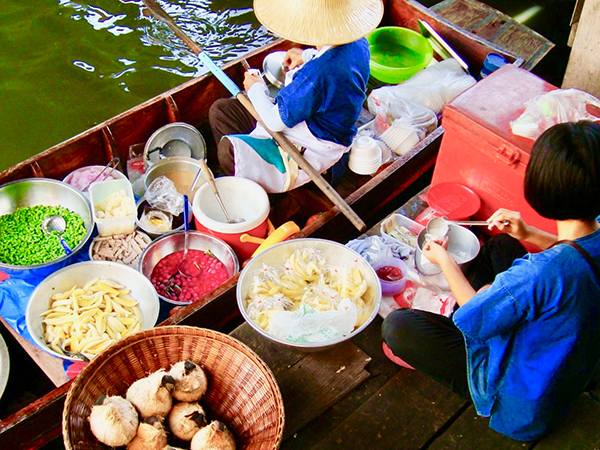 After all, food is one of the main reasons people come visit the Thai capital, and there is no better place to get cheap and delicious food than in the local markets. 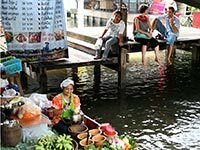 Other good floating markets are found at Damnoen Saduak (the most touristy market, about an hour outside Bangkok), Amphawa (90 kms south-west of Bangkok), and the much smaller Taling Chan (12 kms from Bangkok). where? Khlong Lat Mayom is located about 20km outside of Bangkok and can be accessed by taxi. when? The market is only open on Saturday and Sunday from 9:00am to 6:00pm. Arrive early if you wish to avoid crowds, but stay late to get authentic Thai cuisine for dinner. £$€¥ Like most local markets in Southeast Asia, Khlong Lat Mayom offers quality goods at cheap prices. However, visitors should be aware that vendors tend to make prices higher for foreigners and should not be afraid to bargain if the price doesn’t seem right. Boasted as the largest museum in Southeast Asia, the National Museum keeps Thai history alive. Formerly the palace of King Rama I’s Viceroy, the structure was turned into a museum in 1874. Since then, it has served to preserve and celebrate Thai history, art, and culture, making it available for interested locals and tourists alike. In the past few decades, the National Museum has undertaken efforts to rise in rank and prestige. 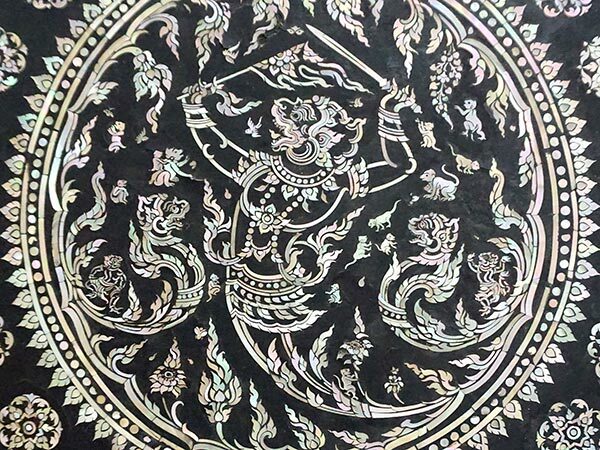 Such efforts have been well-worth the pain, as the museum has transformed into a well-organized, thoughtfully curated collection of artifacts and artworks from all over Thailand and other Southeast Asian countries. The National Museum’s vast collection includes a myriad of subjects. From art history, to archaeology, to ethnology, there is something to interest everyone. Even if you are not particularly fond of history, simply touring through the buildings of this former palace is well-worth the visit. where? 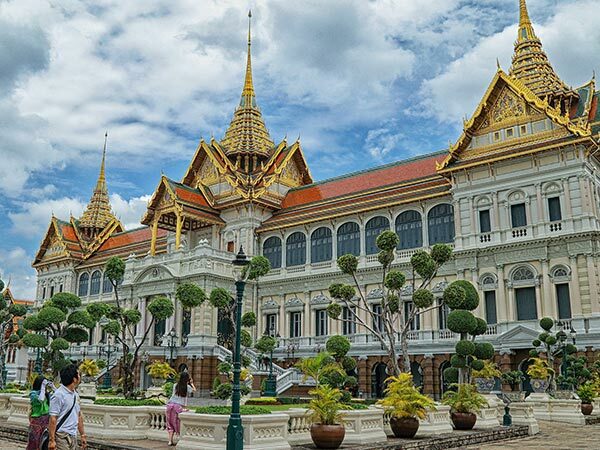 The National Museum is located north of the Grand Palace, making it quite convenient to visit if you’re already touring the area. To arrive, you can take an express boat and get off at Maharaj Pier. However, from the pier you will have to walk around 20 minutes. If you wish to avoid walking, getting a taxi may be your best option. when? The museum is open Wednesday through Sunday from 9:00am to 4:00pm. Free foreign language tours are available on designated days: French and Japanese on Wednesdays, and English and German on Thursdays. £$€¥ The price of admission is $6 for the general public. Better known as the Temple of Dawn, it is famous for the way its structures interact with the sunlight. 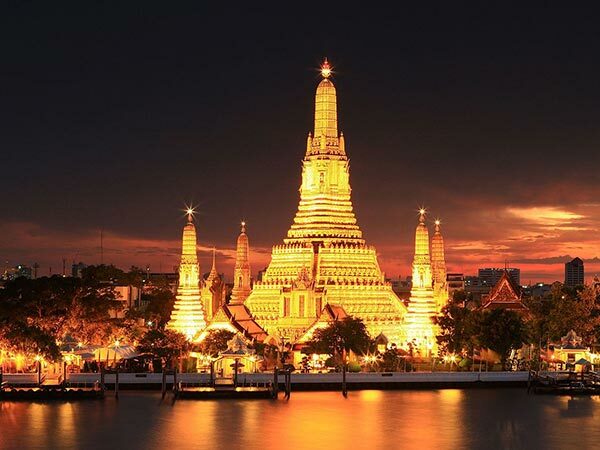 Named after the Hindu god of light, Aruna, Wat Arun has been gracing Bangkok with its beauty since the 17th century. However, it wasn’t until the 19th century, that the temple received its most defining feature, the 82m tall golden spiraling tower that rises as if to meet the sun. This prang interacts with the light at sunrise and sunset, sending off a majestic and soft glow that changes the landscape of the city. It is said that, although the temple is breathtaking at any time of day, it is best seen from the east side of the Chao Phraya River at sunset. Besides its playful display of light, the temple has much to offer inside. Its mosaic tiles made from broken Chinese porcelain have an intricate yet simple kind of beauty. Murals detailing the life of the Buddha adorn the walls and guard the ashes of King Rama II, and statues of the Buddha line up all over the temple complex. where? 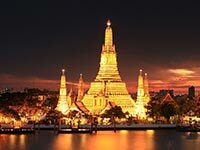 Wat Arun is located on the banks of the Chao Phraya River, right across from the Grand Palace. To arrive, you can take a ferry across the river from the palace. when? The temple is open to visitors daily from 8:00am to 6:00pm. However, those who wish to witness the sun lighting up the temple’s prang at dawn should arrive early and watch the spectacle from the river. £$€¥ The cost of admission is $1.50 for all visitors, making it accessible to visitors of all budget ranges.